Celebrity Big Brother viewers will witness yet another eviction tonight after housemates are forced to do face to face nominations. The celebrity housemates have barely had time to come to terms with Jamsine Waltz departure before being called to put the next housemates up for eviction. After Jasmine left the house in last night’s show, the remaining celebs were told to take part in the first face to face nominations of the series. 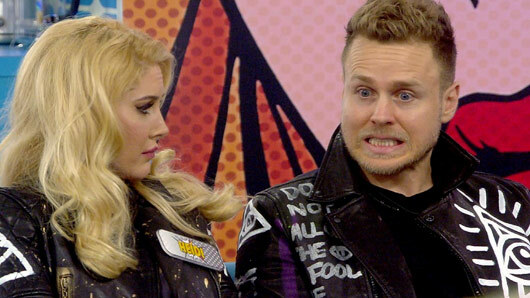 And it looks as though we’re in for some serious drama this evening, as housemates are forced to reveal exactly what they think of their fellow contestants. The housemates who receive the most votes in the face to face nominations will be up for eviction tonight in a special live show, meaning the CBB house will have lost a whopping four housemates in just five days. Prior to Jasmine’s departure, both Angie Best and Austin Armacost had to say goodbye to their place in the house during the live show on Friday. Angie was the first to get the boot after facing the public vote against James Cosmo, Speidi, Austin and Stacy Francis. Austin was then made to follow in her footsteps after being voted as the dullest housemate by his fellow celebrities. Since she did not get an exit interview in last night’s pre-recorded episode, Jasmine will appear in the live show tonight to chat to host Emma Willis. Celebrity Big Brother continues tonight at 9pm on Channel 5. « WATCH: First trailer for Disney’s Tangled sequel is here!